I like the kitchen. I buy food at a super market in the nearby so to make my stay cheaper. I like the room too. The easy in checkin when we arrived after hours. Explanation for collecting keys just need to be made a bit more clear, but we got there in the end. Plenty of parking at a reasonable price. Spacious, reasonably clean. Nice mountain view, quiet area with lots of trees. Check in process worked well . Codes for out of hours check in received in timely manner. Rapport qualité/prix très correct pour loger une faille de 4. Endroit calme et facile d’acces. Tout le reste. L equipe est accueillante. Le nettoyage est très bien. L emplacement de l hotel est ideal. 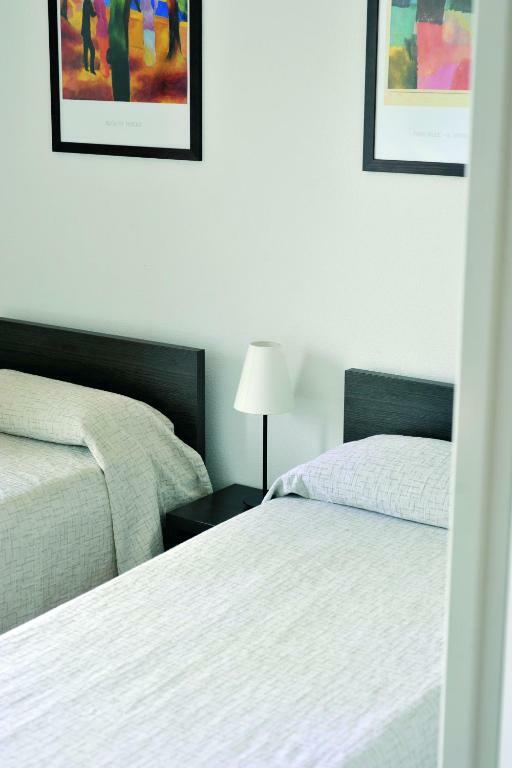 Appart’City Grenoble-Meylan is located just steps from the Famous Inovallée Technology Park in a peaceful green setting, convenient for accessing the business district. 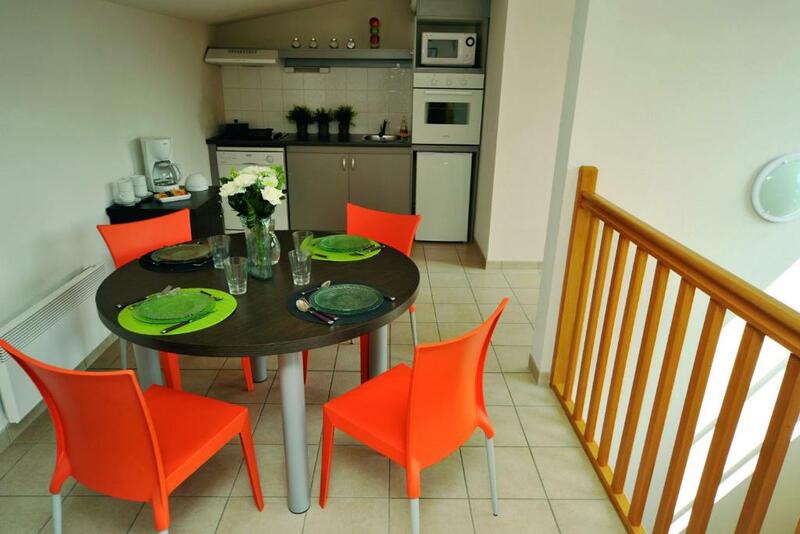 Appart’City Grenoble-Meylan has modern and comfortable apartments with a fully-equipped kitchen, a flat-screen TV, a bathroom and a private balcony. 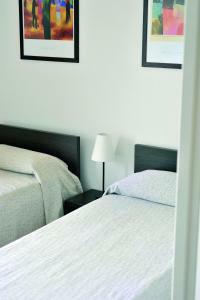 Bed linen and towels are included in the price. Breakfast is served daily for a supplement and is composed of various breads, including gluten-free bread, pastries, fresh and hot beverages. Restaurants can be found within 1.2 mi of the property. 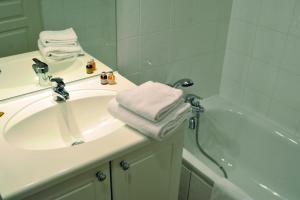 The hotel also offers a laundry and secure parking available on the premises. 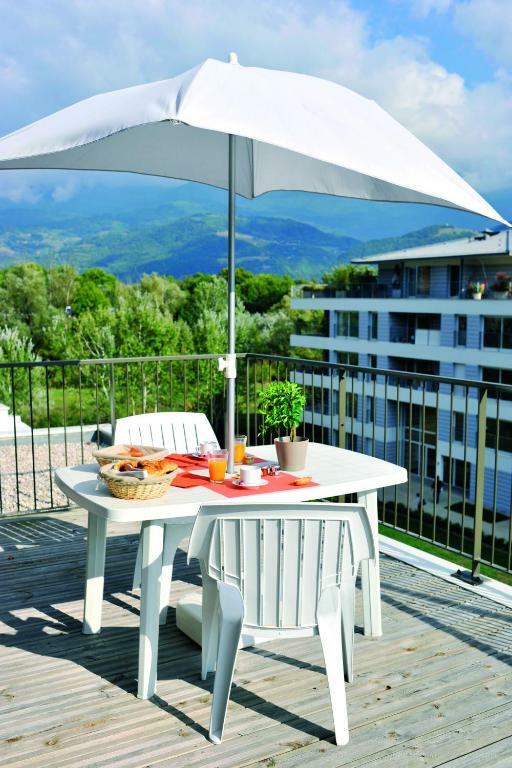 Appart’City Grenoble-Meylan is located at the foot of the Belledonne, Vercors and Chartreuse mountains and has excellent views of the surrounding countryside. When would you like to stay at Appart’City Grenoble-Meylan? This 1-bedroom apartment has a private bathroom with a bathtub and a living room. The kitchen includes a ceramic stove, a fridge and a welcome tray. 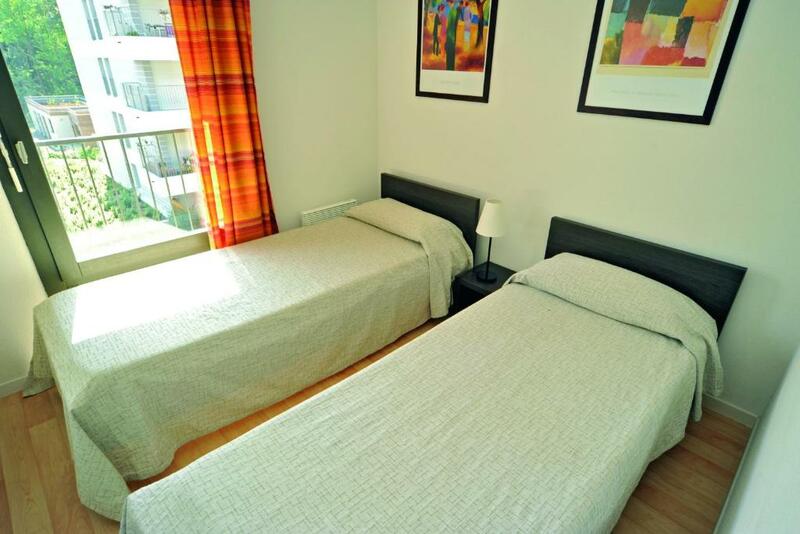 This 2-bedroom apartment has a private bathroom with a bathtub and a living room. The kitchen includes a dishwasher, a ceramic stove, a fridge and a welcome tray. This 1-bedroom apartment has a private bathroom with a bathtub and a living room. The kitchen includes a ceramic stove, a fridge and a coffee machine or an electric kettle. House Rules Appart’City Grenoble-Meylan takes special requests – add in the next step! 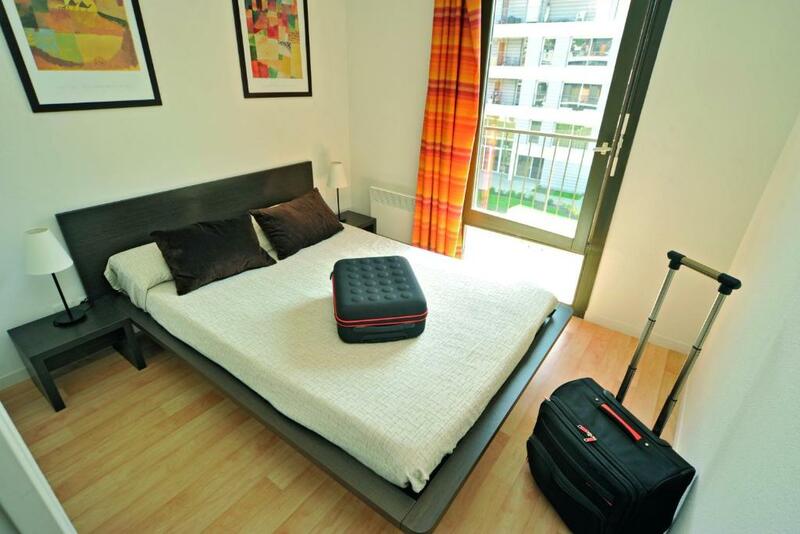 Appart’City Grenoble-Meylan accepts these cards and reserves the right to temporarily hold an amount prior to arrival. If you are planning to arrive outside these opening times, please contact the hotel in advance. Breakfast very less items, No 24/7 Reception, and Air Condition not working ! The appartment was dirty, very worn, broken furniture, cockroaches in the toilet and kitchen. We were missing AC or at least a fan during our stay. My son lives in St Ismier and it is a bit far from the hotel. Rude receptionist at the other building in Meylen when I called for help. There was no one at reception at 8 am for me to check out, breakfast room was closed and there was no wifi due to security issues. It was our second time. We like it. There was nothing I did like.